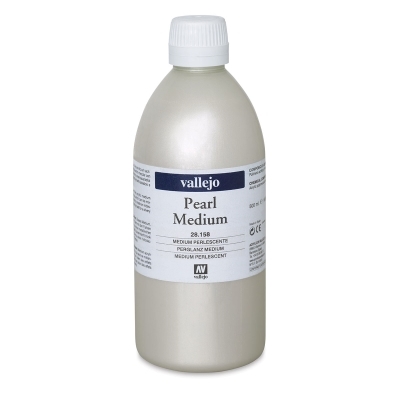 Vallejo Pearlescent Medium is formulated with mica. Mix it with acrylic colors to create an iridescent luster, or apply the acrylic medium by itself for a silvery iridescent effect. It comes in plastic bottles.